The internet troll, a harbinger of jibes, trickery and absurdity, has long been characterised as a perverse blockage, obstruction or intrusion on the normal flow of debate on the internet. But what if the troll was not a troll at all, but a voice of absolute necessity in times when internet discussions proliferate with censorship, vicious commentary backlash, and even harassment from the radical left and the suffocating clingfilm presence of political correctness? Now let me be clear, when I use the term troll, I am only referring to the internet presence that will roll over and duck under the comments of opposition, the magicians who raise the diametrically opposed opinion from the grave, play devil’s advocate, obfuscate, deflect and reverse public discourse online. We’re not talking about the harmful and evil presences on the internet who will hurt people, find where they live and ruin their personal lives. These people are destroyers. They are not trolls, they are actively malicious, disturbed and dangerous people who quite honestly should be held accountable for their behaviour. No, the internet troll is a trickster, a devil and a God, a master of reversal, everyone’s fool and everyone’s master. We’ve all been talking about serious topics online and then someone comes into the fray and blows a ridiculous, silly hole in the discussion and everyone is losing their minds ‘you must be a troll, nobody can be that stupid’ they say. The conversation is very often political and sensitive to many. Feminism, racial tensions, transgender pronouns to name a few hot topics. Then, out of nowhere, when all prevailing discussion is comforting, safe and settled, BANG! ‘Men deserve maternity leave, the woman should get back to her job after having the baby’, or ‘I don’t know why transgender rights are an issue, I’ve been called worse things than the incorrect pronoun for my gender’. The troll has dropped a payload that has wrecked serenity, bastardised the unwritten rules of civility and defiled decency of discourse. Naturally, people react with contempt, with loathing and hatred, some with dissolution, some with confusion, but some will see it for what it is, disruption. And ok, most of the time, people don’t get it, they reject trolls as if they are merely flies to be swatted and disposed of, but is a fly so easy to kill? Famously we have all seen the fly in a movie or cartoon that totally destroys the set up. 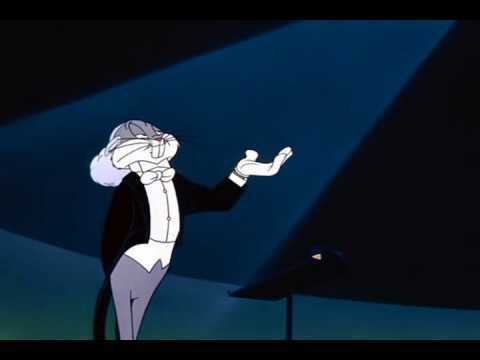 Take for example Looney Tune’s Bugs Bunny conducting a symphony orchestra in one of many episodes from the franchise, a grand and serious affair. One fly flits and buzzes about, so insignificantly, yet, so crucially. Bugs loses it and proceeds to smash cymbals, puncture drums and feverously swat at the tiny thing until the entire ensemble is in ruins and the show, completely derailed. ‘Bugs Bunny at the Symphony II’ – A single fly brings a pompous event to its knees. It’s the trickster troll’s resilience, evasiveness and ability to wreak inadvertent catastrophe with nothing but a whisper (or a buzz) which deserves our respect and attention. And we should look back to where the trickster came from to find out why he does the things he does. Carl Jung, a pupil of the most famous Psychologist in history, Freud, came up with the archetypes, including the archetypal trickster. He states, using the example of ‘Mercurius’ (The Roman God Mercury) that the roman God embodies most strongly the trickster in ‘his fondness for sly jokes and malicious pranks, his powers as a shape-shifter, his dual nature, half animal, half divine, his exposure to all kinds of tortures, and last but not least – his approximation to the figure of saviour’. The motif is prevalent and recurrent. Apollo the messenger was also trickster, the Native American Coyote, and the figure of the shaman who deals in dark arts have all come to signify the archetype. Trickster permeates popular culture too. For example, Dr Facilier from Disney’s ‘Princess and the Frog’ is a trickster figure who manipulates spirits but ultimately ends up at their mercy when he fails to fulfil the contract he agrees to gain their command. Daenerys Targaryen from the phenomenally successful Game of Thrones series makes a deal with a female witch doctor, Mirri Maz Duur, her child’s life for her husband’s (Drogo) restoration from a fatal wound. The female witch doctor tricks Daenerys and she ends up with a shade, a dribbling fool and a baron womb. Mirri Maz Duur dupes Daenerys but ends up being burned by fire just before we witness an even greater miracle of birth, the three dragons, thought to be long extinct. In this way, though the trickster plays tricks, the new trick deployed always backfires and trickster becomes the one in the firing line. Mirri Maz Duur tricks Daenerys into paying for Drogo’s life with her unborn child. The trickster, Jung suggests, is also exemplified by the ‘’monkey tricks’’, the ‘state of affairs in which everything goes wrong and nothing intelligent happens except by mistake at the last moment’, the preface leading into a connection of trickster with the workings of politics. Again, we have all witnessed our own disbelief at the sheer absurdity, pettiness and childishness of our political representatives, yet the world has not fallen apart and changes for the better still come into being despite the incredible nature of some of the debates we sometimes end up audience to on the internet or from our television screens. So why does this figure recur and enter so many doors into the human consciousness? Jung argues the trickster is our primitive ‘shadow’, the antithesis of civilisation, a primal entity which antagonises against order. And, it is this shadow that we must never forget though our want of civilisation paradoxically wills us to try. ‘The disastrous idea that everything comes to the human psyche from the outside a ‘tabula rasa’ (blank slate) is responsible for the erroneous belief that under normal circumstances the individual is in perfect order. He then looks to the state for salvation, and makes society pay for his inefficiency. He thinks the meaning of existence would be discovered if food and clothing were delivered to him gratis on his own doorstep or if everybody possessed an automobile. Such are the puerilities that rise up in place of an unconscious shadow and keep it unconscious’. So the trickster comes to serve as a reminder of our core subconscious shadow, a force of chaos and instability which is a part of all of us, but that our consciousness will suppress and resist in the pursuit of civilisation. But, given this necessity of push and pull, the shadow against the light, the light isn’t always good. In fact, when the light shines everywhere and the shadow disappears, we are left blind to our ugly side, but not enlightened or excised of it. As Jung predicts, we look out at a world lit up, anticipating that the shadows lurk outside and can be found, but we forget that the shadow is in us, and we cannot find him always without, but always within. So, we hate our trickster trolls for their obfuscation, their trickery and ugliness. An era of political correctness asks us to excise the entities which will act against civility by censor and seizure of rights to speak for fear of offence, but if that is the state then why has the internet troll become a mythology of the internet, inextricably tied to it, enshrined forever? The further we punish trickster into hiding, the greater our need is for his presence. The internet troll no better embodies an age of civilisation gone too far. We need trolls more than we have ever needed them, but perhaps if we recognise how trickster impedes us from within, we will not continue to push him into hiding, only to make him stronger. Got an idea? Want to write for us? Contact us! This entry was posted in ideas and tagged Archetypes, Discourse, Discussion, ideas, Introspection, Jung, left wing, Meaning, opinion, political correctness, politics, psychology, right wing, Trickster, Trolls on July 25, 2018 by millennialintent.